Colorado Wilderness Rides and Guides is owned and operated by Joshua Baruch. 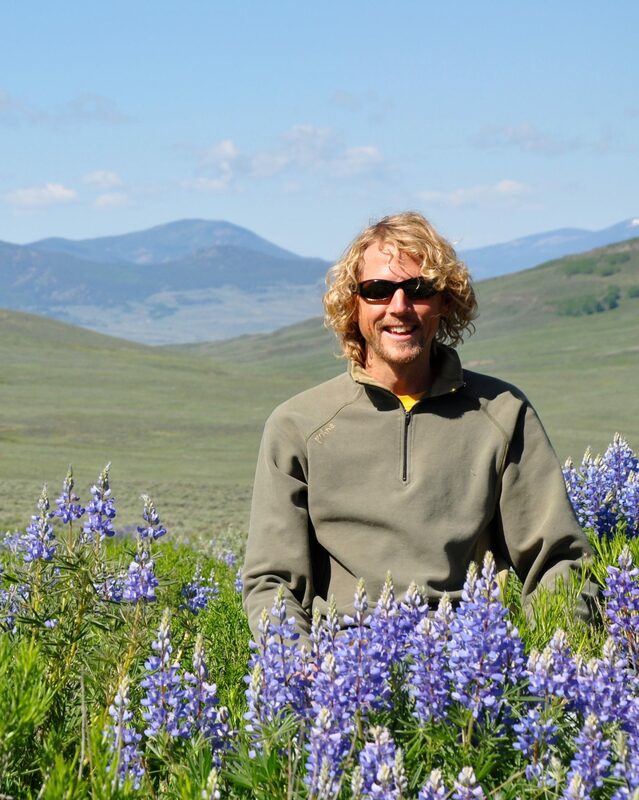 Joshua has been working in the outdoor industry for 21 years, with experience in outdoor guiding, healthcare, mountain rescue, transportation, and safety. Joshua has a tremendous passion for exploring the outdoors, a desire to promote exploration in others, a strong sense of responsibility related to mountain safety, and an uncanny ability to find the best local places and experiences possible. Joshua grew up in Connecticut but spent much of his childhood ski racing in Vermont and backpacking/ski mountaineering in the Presidential Range of New Hampshire. His first backpacking trip was at age 7 with Mother, Heidi, and brother, Eddie, that included eight days and nights in the eight AMC huts around New Hampshires Presidental Range. At the end of that trip,he was hooked by the mountains and what he had experienced on that trip. The next year he skied Tuckermans Ravine headwall for mothers day at age 8 and that tradition continued every mothers day for the next 8 years. Josh now lives in Boulder with his wife, Erica, son, Asher, and daughter, Lilah. When not working, Josh can be found on the many trails, peaks, and couloirs in Colorado’s front range mountains. Throughout the four seasons, the Baruch clan continuously explores the magnificent terrain, scenery, and wildlife of their incredibly extended backyard! After years as a professional Tennis athlete on the ATP Pro Tour, Josh started guiding in 1997, with a 3 month guide apprenticeship in Switzerland, and has more than 21 years of professional guide experience on 5 continents. Josh’s outdoor experience includes managing and owning a mountaineering guiding company that operated domestically and internationally for 5 years (California Expeditions), more than 30 international expeditions to five continents; AMGA training and AIARE certifications (SPI, Rock, Ski, and AIARE Level 3); 2 years high angle search and rescue experience; 2 years EMT-I working the 911 call system (Golden and SWAC Firestations); W-EMT training and certifications and WFR/WEMT Instructor; Critical Care registered nurse and ten years nursing experience (including trauma intensive care units, telemetry, post anesthesia, interventional radiology); Certifications in Advanced Trauma Life Support, Advance Cardiac Life Support (ACLS),Pediatric Advanced Life Support (PALS), Whitewater Rescue Technician (WRT), Colorado River Guide Instructor; Fly Fishing Guide Instructor; College Instructor for outdoor navigation and wilderness survival; Safety consultant and risk management plans written for the State of California; and Former wildfire red card and wildlife crew member. Joshua’s formal education include undergraduate and graduate studies in adventure education and leadership development and another degree in critical care nursing. Josh has continued to build upon a solid outdoor foundation and passion developed from a young age. The important lesson I learned is exposure at a young age can really set the seed for a fondness and love of the outdoors. I am trying to create the same foundation for my kids and those that I have the opportunity of share time with outdoors, regardless of their age. We all get our exposure to different things at different ages and times. The most important thing is creating a safe, fun, and engaging experience to maximize personal growth, learning, and ‘thirst for adventure of some kind’. 1. The summit or destination is optional and getting down safely is mandatory. 2. Just because you love the mountains, does not mean the mountains love you. My goal is to create a safe, transformational, and amazing experience for all our guests! Alex Phillips is an avid adventurer. As a teenager he spent summers trekking through Nepal, scuba diving the Red Sea, climbing the peaks of the Cascade, White, and Green Mountains, and canoeing the waterways of Northern Canada. He also spent a winter sailing the Caribbean, and another as first mate to Captain Bligh on a ship that supplied a private island in the Bahamas. Now almost 30, Alex is still an adventurer. In-between summer seasons of guiding fishing, climbing, biking, and backpacking trip; he has spent his last two winters either living on deserted Mexican beaches with nothing but a pile of books and a surfboard, or living in the Rocky Mountains tuning skis to earn money for bread, beer, and lift tickets. While such lifestyle choices could paint a picture of Alex as a nomadic bum, he is also educated in the formal style. Alex is a graduate of Naropa University with degrees in Contemplative Psychology and Religious Studies. He is a Wilderness EMT and Massage Therapist, and an Integral Coaching Apprentice. After college he worked in a wilderness therapy program where he used the wilderness itself as a therapeutic tool. He brings some of this approach to guiding at CWRAG. Alex likes guiding for Colorado Wilderness Rides and Guides because he is trusted to facilitate an awesome experience. When a cycling group completes its ride before the pickup time, he can modify the itinerary and continue the adventure. If the client tires of fishing, Alex is prepared to pick raspberries, track animals, teach primitive fire making, etc.. It is in customizing trips for each groups’ particular needs that Alex excels as a professional guide. I started rock climbing back home in Mexico in 1997 and loved it right away. Soon after, I started sharing my passion for rock climbing by teaching friends and other individuals. I taught for many years as a hobby until I decided to pursue my dream job and moved to Boulder, Colorado in 2009 to become a climbing instructor and mountain guide. I love to combine my passions for teaching, climbing and the outdoors with my work. Over the past few years I’ve guided all over Colorado’s Front Range and spent some time guiding the volcanoes in Mexico. I’m excited to be part of Colorado Wilderness Rides and Guides staff. Bernardo is certified through the American Mountain Guides Association as a Single Pitch Instructor and has completed the Rock Guide and Alpine Guide courses. He also holds a Wilderness First Responder through the Wilderness Medicine Institute. When he’s not working, he’s usually exploring the climbs and trails around Colorado’s Front Range. Brad has worked as a Grand Canyon National Park Ranger, a Sea Kayak Guide in Monterey Bay and Tomales Bay, California, an Adventure Guide in Vietnam, Alaska, Mexico, Canada, and the U.S., and a naturalist in Boulder, Colorado. Brad explored vast areas of Colorado working in wilderness-therapy programs for adolescents and their families, serving variously as a Field Instructor, Logistics Coordinator, Education Director, and Family Counselor. Brad was also a support team member of the Extreme Ice Survey, a global project documenting the rapid retreat of the world's glaciers and leading to the film Chasing Ice. Brad has a passion for sharing the outdoors and a connection to Nature with other people. Between guiding trips, Brad is usually hiking, kayaking, paddle-boarding, practicing Tai Chi, watching a mountain sunset with good friends, or planning his next winter trip to Mexico. Bryan is an avid adventurer and has spent most of his life exploring the outdoors and showing others the benefits of a life spent outdoors. He recently moved to Colorado with his family in hopes of broadening his experience outdoors both personally and professionally. Bryan has worked in the Outdoor Industry for almost 2 decades. His experience includes managing outdoor programs in California, helping develop then managed REI’s Outdoor School, managed prolific climber Chris Sharma’s first large scale indoor climbing facility called Sender One, and finally managed his own outdoor climbing program in California called Outdoor Discovery. Bryan completed a NOLS Outdoor Leadership Semester is 1998. Other certificates and trainings include Level I avalanche, Wilderness First responder, Wilder Risk Management Training and Single Pitch Instructor certification with the AMGA. When Bryan is not outside working he spends most of his free time with family and friends pulling themselves up rocks, running rivers, exploring the anything outdoors, and enjoying the incredible craft beer scene here in Colorado and elsewhere. Caleb is one of our designated photography guides at Colorado Wilderness Rides And Guides. In addition to guiding photography tours, he guides peak ascents, and winter activity programs. Caleb is responsible for many great pictures on our website as well. When not working with us, Caleb can be found at his other job as an officer in the US Air Force. Caleb is a tremendously gifted photographer and educator and guides photography, sightseeing, hiking, mountain biking, cycling and mountaineering trips. A perfectionist and very social by nature, Caleb will surely delight with great food, education and conversation! Christian Little has lived in Colorado over 10 years as she pursued her Doctor of Physical Therapy and Fellowship training as well as taught as a professor in Orthopedic while specializing in orthopedics and sports. She has lived, raced, adventured, and worked in various parts of the world. Christian is an adventurous soul who loves the outdoors whether that’s adventuring on two wheels, backcountry skiing or surfing. She specialises in mountain bike guiding of all levels. She has her IMBA level 1 MTB Coaching Certificate, Wilderness First Responders, CPR, and a Doctor of Physical Therapy. She has competed in Xterra off road triathlon Nationals and Worlds, MTB races throughout Colorado, and the Pioneer MTB Stage Race in New Zealand..
Near the end of March 2016 she broke her back in three places after falling over 100 feet off the side of a mountain while mountain biking in New Zealand. Christian had to rock climb back up the mountain and bike 5 kilometers to a hut where she was heli-evacuated to the ER. In addition, to breaking her back she also sustained a spinal cord injury. Six months after breaking her back she took on a 10-day purpose-driven mountain bike ride through the European Alps. She views her survival from her fall as a miracle and feels her purpose going forward is to encourage and inspire others in their journey. She is an adventurous soul who loves exploring this beautiful world on two wheels and encouraging others to as well. Cindy was born and raised in NH, and moved to Boulder in 1990. Her professional career began as a telecommunications engineer and her outdoor career as an Elite Ironman Triathlete. After racing triathlons for 18 years, Cindy expanded her horizons to the Colorado mountains. She joined the Colorado Mountain Club (CMC) to learn mountaineering and rock climbing skills. In 2005, Cindy left the corporate world to spend a year traveling in the mountains of Nepal and North America. She found her passion here, and shifted her professional focus to outdoor skills education, leadership, and risk management. Cindy also became involved in a community-based cycling group, leading bike tours throughout North America. In 2006, Cindy became the director of the CMC Boulder Mountaineering School, where she managed outdoor education courses and instructed in all disciplines (rock, ice and snow). At the same time, she started to expand her professional outdoor skills by becoming a Ski Patroller, Ski Instructor and Avalanche Instructor. Cindy joined CWRAG in 2008 as a hike, ski, rock and cycling guide. Her professional certifications include NSP and AIARE Avalanche Instructor, PSIA Level 2, WFR, and CPR. Cindy’s passion for the outdoors and energetic spirit drive every trip she guides — she connects with clients, which enables her to customize each trip to be fun yet challenging. Her adventurous spirit drives her own life, and has helped her summit 23,000-ft Himalayan peaks, backpack New Zealand, ski-tour the Canadian Rockies, and cycle Tour de France routes. Diana Sabreen is a world traveler who has been to 21 countries at last count. She has taught climbing and outdoor education to youth and adults for over a decade and loves showing clients the beauty of Colorado. Diana is a professional photographer (www.DianaSabreen.com) and the founder of Shoot Cameras Not Guns (www.ShootCamerasNotGuns.org), a non-profit that teaches photography internationally as a tool for social change and empowerment. Originally an east coaster, Diana was drawn to Colorado for the snowboarding, sunshine, music and culture. She believes that experiences and challenges in the wilderness can provide life changing moments and is happy to share her outdoor knowledge with experienced and beginner outdoor enthusiasts alike. Erica truly appreciates the ways in which the wilderness provides inspiration. She has been guiding for Colorado Wilderness Rides and Guides and Colorado Wilderness Corporate and Teams since the company’s inception and has been moved by how instructive and stimulating the outdoors can be when incorporated into team building and leadership development events. Erica brings a passion for diversity of perspective and an ability to help team members recognize the abilities and experience of their colleagues. Erica’s skill in noticing team dynamics allows her to make insightful observations that carry through to an organization’s day-to-day work. In addition to working for Colorado Wilderness, Erica serves as an independent diversity and inclusion consultant for several local organizations. Her facilitation skills, honed in her consulting practice, contribute to her success with our clients. Additionally, she brings an enthusiasm for teaching effective communication and building trust. Erica values the cross-pollination of ideas that occurs by working in different contexts and enjoys seeing how quickly clients link what they learn in an outdoor event to their office environment. She believes nature encourages an openness that can be hard to achieve in the conference room. Erica came to Colorado in 2001 so she could access the inspiring and calming properties of the wilderness daily. She spends time outside whenever possible and particularly enjoys the power of the wilderness to promote personal growth and connection with others. Erica holds an AB and a MA in English Literature and a Juris Doctor. She is a certified trainer of the Influence Style Indicator (ISI), as well as a Wilderness First Responder. Jack Bruner has been fly fishing for the past 54 years. That means that he started when he was eight. Growing up in Colorado and spending summers on the family ranch in Montana chasing trout was just what you did. Not only do trout fear his name, but Jack ties his own flies, builds his own bamboo rods, and just completed building his 30th wooden drift boat. He embodies everything there is about the sport. Jack’s sense of humor, his ability to teach, and his knowledge of fish on the fly, make him the ultimate guide. There is no trip that is “just a trip” and there is no fish that is “just a fish”. He recognizes that nature has given us an opportunity to appreciate trout, mountains, rivers and relationships. His goal as a guide is to respect the client and do everything possible to give them the ultimate fishing experience, whether it is on a lake, in a boat, or wade fishing. And even if the day was fishing and not catching, Jack will make you laugh, have a beer with you , and let you know that some days the fish win. For the past 40 years John’s passion has been chasing fish. Having gone to college at Western State College in Gunnison Colorado, he spent the afternoons or evenings chasing trout, while watching the sun set. He spent his next 30 years as an educator and continued to fly fish all over the world. From Chile to Costa Rica and the rivers of Alaska, the sunsets became more beautiful and the fishing became an even greater part of his life. In 1995 John opened “Two Guys Fly Shop” (yes there was another guy) in Lafayette, Colorado. During the nine years of operation, he taught classes in fly-tying, rod building, fly rod casting, and of course, a beginning class on how to become a fly fisherman/woman. As John expanded his guiding to places like Wyoming, Montana, and Chile, he spent weekdays on the front range of Colorado and longer periods of time floating rivers such as the Bighorn, the South Fork of the Snake, the Colorado, the Madison, the Missouri, the Green, and the Roaring Fork. John is a certified Professional Guide and an expert in teaching the beginner. He is someone that has fun watching others catch fish and loves sharing the same passion which helped shape the person he is today. John is an America Mountaineering Guide Association (AMGA) certified Rock and Ski Guide who calls Colorado his home. He has completed his AMGA Alpine Guides course and is working to complete his Alpine certification to become a fully certified IFMGA guide. John has spent more than 10 years guiding backcountry skiing, rock climbing, and mountaineering and dividing his time between guiding in Oregon (on Mt Hood and on rocks / peaks of the Pacific Northwest) and Colorado. John brings with him an intimate knowledge of snow science with 5 years experience as a winter backcountry forester for the Crested Butte Avalanche Center. He has worked for 4 years with CWRAG as a course lead for level 1 and level 2 AIARE avalanche education courses. Due an astute mind and keen intellect John is one of 5 Instructor Trainer Team Member in the state of Colorado. John is also an Outdoor Studies instructor at Colorado Mountain College working on his masters. When he’s not guiding, John enjoys rock climbing in the desert, reading and running around the Colorado high country with his wife and their impulsive blue heeler. John brings his easy and relaxed demeanor and keen intellect to help educate and inspire those around him. Justin has been with Colorado Wilderness Rides and Guides since 2006. He is a native of Boulder and likes to guide the same way he enjoys the Colorado wilderness… packing in as many different outdoor activities as daylight permits. Justin is an avid Mountain Biker, Angler, Hiker, Backpacker, Road Cyclist, and Skier. Jill joined the guiding staff of Colorado Wilderness Rides and Guides in the summer of 2014 and has enjoyed leading hikes, climbs, snow shoe trips, and hut to hut skiing treks, and helped companies develop their employees with outdoor based team buildings and leadership events. Her goal is to help her guests make the great peaks, meadows, and rivers of the beautiful Rocky Mountains accessible, and to discover new possibilities in themselves. Jill moved to Boulder Colorado in 1990 from the flat lands of the midwest and never looked back. After a few initial unguided hikes resulting in becoming slightly lost and very wet and cold, she searched for and found the Colorado Mountain Club and over the next few years, took all the mountaineering training she could get her hands on. She went on to give back to the mountaineering community by teaching others in all forms of mountaineering, and leading hikes and climbs. When she saw some of her friends responding to help other lost and injured skiers and climbers, she discovered and joined the National Ski Patrol and the Mountain Rescue Association. She was an active member of the local Mountain Rescue Association (Rocky Mountain Rescue Group) and for 13 years helped injured and lost mountaineers return back from the trail to home. She is an active ski patroller and first aid instructor in the National Ski Patrol since 1996. It was an aerospace engineering career that brought Jill to Colorado, but it is the mountains that keep her here. Today the call of sharing her love of the mountains has drawn her away from the engineering world and into guiding people into journeying into the alpine nature, and returning safely. Jill has done hikes and climbs in Alaska, Africa, the Italian Dolomites, Machu Picchu, skied in Canada, and descended canyons in southern Utah, but her outdoor home is Colorado. She hikes, rock climbs, snow shoes, bikes, kayaks, canoes, and skies all through Colorado discovering more wonder on every trip. Karen is an avid cyclist, outdoor enthusiast, musician and history buff. She has called Colorado home since her graduation from CU Boulder and after a multi-decade career in engineering is grateful to now be sharing her knowledge and enthusiasm for this great State with others. Mountain biking and hiking are two great ways to get outside, be challenged and recharge and Karen has learned there are a myriad of places in the Denver/Boulder area waiting to be explored – even for the third or fourth time! Karen also leads bike tours of downtown Denver and teaches elementary school band. Phil came to Colorado with a passion for the outdoors. He spent many years skiing, climbing, kayaking, hiking and biking primarily in Colorado and neighboring states. His current focus is mountain biking, teaching mountain biking skills, and skiing. Phil has been guiding for CWRAG since 2013, when one of his fellow guides told him he would get paid to ride his bike. Phil enjoys sharing his knowledge of the local trails and proficiency of bike handling skills to provide the best outdoor adventure. On a typical ride, he can offer trails of varying difficulty to accommodate the client’s ability and comfort level. His goals for all adventures are safe, challenging and memorable fun in the outdoors of Colorado. Phil can customize a mountain bike trip for riders from beginners to advanced levels and provide professional instruction along the way as desired by the clients. An engineer by education, a volunteer Nordic Ski Patroller for over 30 years, an Outdoor Emergency Care (OEC) technician, a volunteer bike patroller, a professional bicycle mechanic and an International Mountain Bike Association (IMBA) mountain bike instructor, Phil can easily manage all aspects of a memorable trip. A native of Colorado, Robin comes to CWRAG with a great love of the outdoors and is always excited about any outdoor adventure. One of her favorite activities is fly-fishing, although you can catch her mountain biking, hiking, back-packing or camping. Robin has been fly-fishing for over 20 years, including in Alaska, Scotland, Baja and Chile, with extensive time spent fishing in Colorado, Montana and guiding in the Big Horn Mountains of Wyoming. One of her greatest joys as a guide is seeing the smile on people’s faces when they hook a fish! She loves to share/ teach her love of fly-fishing and the outdoors to others. A graduate of the CU in Environmental Design, Robin is a Designer by trade and spent 15 years as a Fire Fighter/EMT-I. Virginia Sanford discovered climbing when she moved to Colorado in 2007. She was instantly hooked. Since then she has travelled around the world climbing, backpacking and adventuring. She comes to Colorado Wilderness Rides and Guides with experience as a wilderness therapy guide and eight years of experience as an outdoor educator. Virginia has always found the wilderness to be a place of healing, wonder and discovery. As a guide she strives to instill this sense of awe in the beauty to be found in the large dramatic landscapes, all the way down to the smallest details. As a She is currently working on a Master’s degree in Counseling Psychology with the intention of integrating her love of the wilderness with the therapeutic realm. Virginia is also a certified Wilderness First Responder. When taking people into the wilderness, Virginia brings a passion for the natural world that is infectious. She is at her best when she is outside, sharing her love with others, whether that is through wildflower identification, the views at the top of a rock climb, or the majesty of the sun hitting the Colorado mountains. Zach has over 10 years guiding experience working for outfitters and lodges as well as wilderness programs. At Colorado Wilderness Rides and Guides, Zach primarily guides fly fishing. An avid outdoorsman and wilderness connoisseur, Zach spends most of his free time finding the off-the-beaten-path gems of Colorado fly fishing. Growing up in Western Montana, he has an affinity for connecting with nature and experiencing the natural world directly. For Zach, the experience of fly fishing is complete as soon as he puts on his waders, steps into the water, and looks up at the surrounding mountain peaks; catching fish only adds to the adventure. As a guide, Zach tries to understand his clients’ aspirations and create an experience that they will be talking about for years to come. Zach has a BA in Contemplative Psychology from Naropa University and is an experienced rock climber, mountain biker, kayaker, back packer, and of course, angler. He has Wilderness First Responder medical training and takes pride in anticipating potential risks to help clients relax and fully enjoy their experience. It is Zach's philosophy to always have a rod handy no matter where he goes. He and his fishing equipment travel everywhere together. Julie grew up in the Seattle area where her love of all things outdoors originated. She was the youngest in her family to summit Mt. Rainier at 16. Her adventurous spirit continued to grow as she spent 5 years living the dream in San Luis Obispo, CA while attending Cal Poly to earn her Bachelors of Science in Psychology.Throughout college Julie worked as a guide leading backpacking, caving, climbing, and team-building trips. Everything from desert climbing in Joshua Tree to backpacking through the lush Cascades, she loves and guides it all. She has her Wilderness First Responder and AIARE 1 certifications, and enjoys mentoring new guides. She is interested in medicine and has worked as an EMT on an ambulance and at concerts, on an organic farm, preschool, and winery.Julie moved to Boulder in September 2017 after backpacking and biking around Europe and Asia for a year and a half. She is an avid skier, climber, and swing and blues dancer. The most notable things you will remember about Julie are her positive attitude, infectious smile, and “let’s do it!” mantra. Anita moved to Boulder, Colorado 17 years ago to engage her love of the mountains. She spends her free time hiking and training for mountaineering challenges. Anita has been successful in completing many domestic and international treks including; the John Muir Trail, the Dolomites, West Highland Way, West Coast Trail and the Bernese Oberland region in Switzerland. Anita’s enthusiasm for adventure has taken her, along with her family to the third highest peak in North America, where they climbed Pica de Orizaba. When at home Anita takes advantage of the endless activities the Front Range offers. The Front Range is a playground for avid hikers and climbers where she spends much of her free time with friends and family. Anita supports Colorado Wilderness Rides and Guides with her organization skills and attention to detail. Anita can be found at the head office where she assumes the role as accounting director. She has been with Colorado Wilderness Rides and Guides for the past 7 seasons and its Anita’s goal to guarantee every customer enjoys a unique experience with nature. Sandy has guided and assisted with team-building events for CWRAG since 2014. She is a graduate of the University of Colorado at Boulder, and her first career was in I.T. doing software development and server administration. A passion for geography and maps led her to study Geographic Information Systems (GIS) in a two-year college program. As a freelance writer, Sandy revised two hiking guidebooks for Falcon Guides (“Hiking Colorado” and “Best Hikes Near Denver and Boulder”) and created a new hiking guide for CMC Press (“Colorado Waterfall Hikes”). She enjoys hiking and mountaineering, rock and ice climbing, backpacking, ski touring, and photography. As a volunteer, she taught mountaineering/climbing courses and led trips for the Colorado Mountain Club. Sandy has backpacked more than half of the 567-mile Colorado Trail. She has summited Mt Rainier, Grand Teton, and 51 of Colorado's 54 official “14ers”. She has also explored mountain ranges around the world including the Himalayas, the Andes, the Pyrenees, Alaska's Chugach Mountains and Brooks Range, the Southern Alps of New Zealand, the Cumbrian Mountains of England, and Mount Kilimanjaro. Joey is a social butterfly seen at area concerts, brew fests and local festivals along the front range. She enjoys camping, boating, fishing, and all things under the sun with family and friends. A southern girl who likes to smell the roses along the way and the more that come along for the adventure, the merrier it is. Seminole State Park in Wyoming is her favorite camping spot because of their sandy trails and beaches, and of course the shooting stars. Grand Lake ranks as the most beautiful spot in Colorado for her because it is so majestic with great constellation viewing, endless stars at night and that quaint cozy small-town feel. Joey is passionate about getting clients into Colorado’s beautiful outdoors, getting the team on the same uncertain ground of interacting with what nature brings and seeing teams have positive powerful experiences. Observing the interaction and transformation of teams while they are with us brings her pride. She is a true developer of people. She is a self-proclaimed tourism junkie and has been involved in a variety of economic and tourism initiatives while in the Colorado area. Serving on the Board of Directors for the GO NOCO regional tourism act grant committee and working with the grass roots effort of creating Visit Longmont, the convention and visitor’s bureau of Longmont, serving as the first president of the organization. Joey is originally from Nashville, TN and a graduate of Western Kentucky University with a degree in public relations and psychology. She has worked with a variety of groups throughout her career in training and sales capacities within and outside the hospitality and tourism industry. Her credentials include various certifications and recognitions in sales and training from White Lodging, Marriott International and Ceridian (Comdata). Michael is a skier, climber, and cold weather enthusiast from the great mountain town of Miami, Florida. After graduating from Florida International University with no idea what he wanted to do with his life, he went to work in Nepal for six months, in the time deciding he wanted to climb and ski. Michael moved to Seattle where he learned mountaineering, alpine climbing, and ski touring on Mt. Rainier and in the North Cascades, his favorite National Park. In Seattle, Michael was a freelance writer for outdoor publications such as the blog for The Clymb, and worked at a local ski shop. Michael comes from an Italian American family and spent his university summers studying in Florence, Italy, and helping to guide university students through cultural and historical sites. Michael moved to Boulder to escape big cities, and he loves the Flatirons, the Indian Peaks, and Rocky Mountain National Park. His goal is to continue to climb and ski more ambitious lines, and inspire people to see the state with the same love that he does. With Colorado Wilderness Rides and Guides, Michael wants to be ‘more than a guide company’ and engage diverse groups of people into unique and life-changing experiences, especially those, who like him, come from a place where the mountains aren’t prevalent. When he’s not executing a less than acceptable pour from the CWRAG kegerator, Michael enjoys skiing all conditions, climbing while loudly cursing through finger cracks, and writing bios. Tom grew up in Cleveland but spent his summers with his mom in Switzerland and his father in Italy. At a young age Tom learned how to ski, climb, bike, backpack and support his beloved Cleveland Browns. After graduating from Ohio Wesleyan University he moved to Winter Park Colorado to further his ski education and spent the next 7 years practicing. Tom has worked in the outdoor industry his whole career and and is a master with a spreadsheet. He still spends most of his free time playing in the mountains and likes beer.